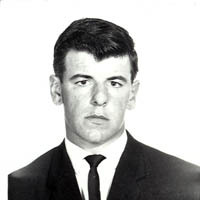 On January 11, 1973, Constable James Lothian was pursuing a vehicle which ran a red light. He advised the dispatcher that the fleeing vehicle was trying to push another car out of the way to escape. After catching up to the suspect car, Constable Lothian was confronted by the driver and shot. He died later in hospital.